The Sheffield team triumphed in a very tough field of entries and their prize is a study trip to Italy, sponsored by MSK Ingredients. The trip will include dinner and a behind the scenes tour of Osteria Francescana, recognised as the number one restaurant in the world in 2016. The guest kitchen judge for the Grand Final was celebrated chef, Francesco Mazzei, from Satoria and Radici Restaurants in London. Francesco was delighted to see that the theme of the competition was Italian Food, and the Award for Best Pasta Dish, featuring Seafood from Scotland, went to Penwith College in Cornwall. I would like to thank all the students, judges and sponsors for making this nationally recognisedn competition such a fabulous success. Details for the 2018 competition will be announced later this year. Penwith College scooped the Runners Up award sponsored by Koppert Cress, and Katie Roberts from the college won the Barista Award sponsored by Cafeology. 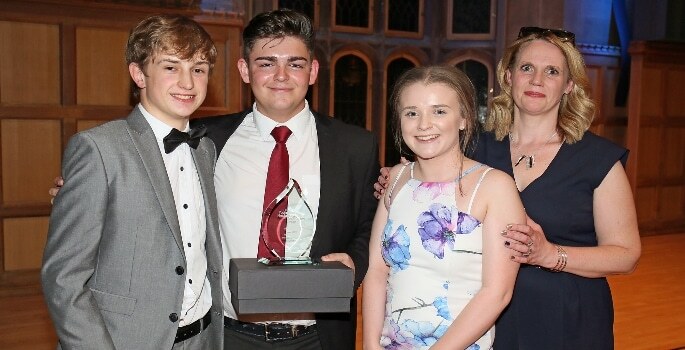 The Award for Best Service sponsored by HK Projects went to Loughborough College, and the Ignite for Innovation Award sponsored by Welbilt went to North Warwickshire & Hinkley College. Milton Keynes College was also highly praised by the judges for their entry at the Grand Final. For further details visit www.restaurantcompetition.co.uk.